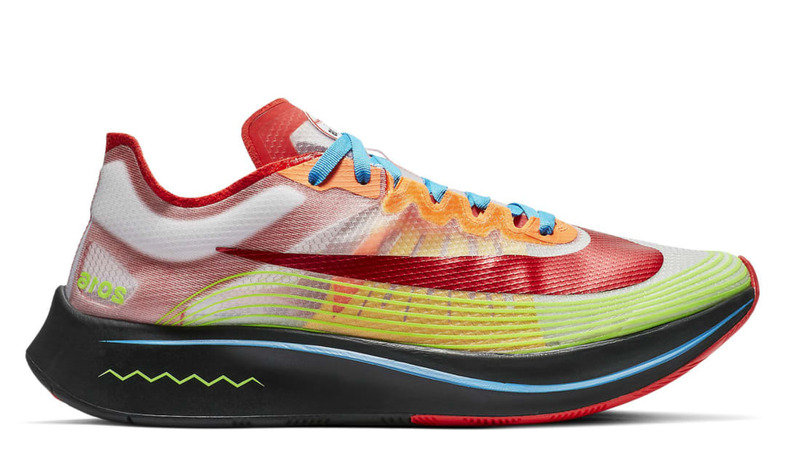 Nike Nike Zoom Fly SP "Doernbecher"
Part of the Nike Doernbecher 2018 Collection, Payton Fentress's Nike Zoom Fly SP will feature a semi-translucent upper combining colors of green, blue, orange, and red throughout. Additional details include baseball graphics on the tongue and sockliner. Release date is Dec. 14, 2018 at a retail price of $170.